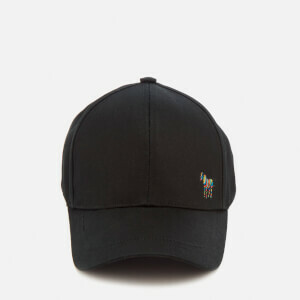 Crafted from cotton, the men’s navy blue baseball cap from Paul Smith’s accessories line features a six-panel construction with a buttoned crown and four breathable eyelets for ventilation. A pre-curved peak and an adjustable embossed buckle fastening at the back. A colourfully embroidered zebra motif adds the brand’s signature touch.